Want it by Wednesday 24th April? Order within 3 hours, 6 minutes and choose Next Working Day - Kerbside Delivery (Order Must be Placed by 2pm) at checkout. Balterio Tradition Elegant Honey Oak 662 9mm light to medium coloured plank. Measuring 190.5mm x 1261mm, this board replicates the size of real wood planks and with its 4 sided v groove. This adds definition of the board and character to the room. Honey Oak is a very popular décor across most laminate suppliers- and it is easy to know why! This board will complement ANY interior and with abrasion and impact resistance, you are safe in the knowledge your floor will become an integral part of your home for many years to come. 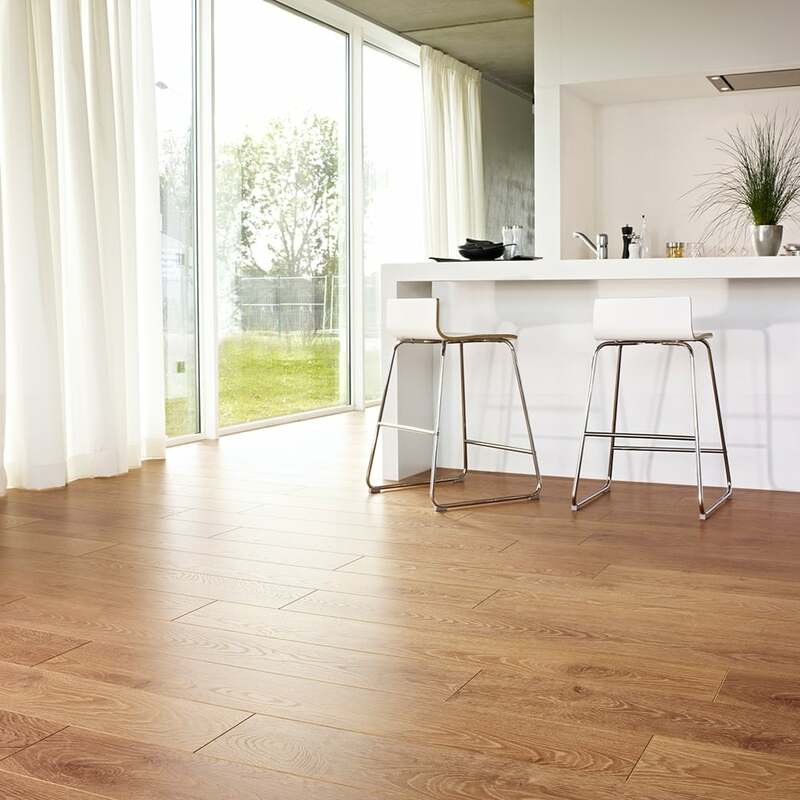 With its light oak grain and warm tones, simultaneously it provides warmth and space to any room. For your free sample- contact us NOW! Perfect match, good quality, easy to use, well worth it. Excellent...excatly what I was looking for. Great service too.